New York, NY – February 14, 2019 – Bigger is not always better and in the world of a rapidly changing cannabis sector, the nimbleness of small cannabis companies may be more sustainable in the long run, and even outpace their giant competitors in the near-term. Small cannabis companies that form alliances to offset the resource advantage of larger competitors are in even better position to outperform the industry behemoths. The military goes to combat ‘task organized.” Given the enemy at hand, a fighting unit mixes a combination of infantry, mechanized infantry, airborne infantry and armor together in a task organization unit specially designed to outmaneuver and overwhelm a target enemy. U.S. Army Veteran Steven Rash, CEO of USMJ (aka North American Cannabis Holdings (USOTC: USMJ) no doubt is trained in the strategy and tactics of military task organization. In addition to his position at USMJ, Rash is also the CEO of ACI Conglomerated which is the majority shareholder of USMJ and Puration, Inc. (USOTC: PURA), as well as cannabis sector newcomers by way of reverse merger, Priority Aviation, Inc. (USOTC: PJET) and Nouveau Life Pharmaceuticals, Inc. (USOTC: NOUV). PURA has licensed a U.S. Patented cannabis extraction process in conjunction with the EVERx CBD Sports Water it produces from Kali-Extracts, Inc. (USOTC: KALY). Now KALY has partnered with PURA and NOUV in a Joint Venture (JV) called U.S. Cannabis Health to develop cannabis pharmaceuticals. Steven Rash is the CEO of U.S. Cannabis Health. The JV has forged a partnership with Generex Biotechnology (OTCBB: GNBT) in further pursuit of cannabis pharmaceuticals development. KALY and PURA have also partnered with Alkame Holdings, Inc. (USOTC: ALKM), currently the co-packer for PURA’s cannabis infused beverages, to make a new CBD infused beverage with an unprecedented 25 mg’s of CBD. While big, exchange listed cannabis companies talk about developing cannabis beverages, PURA just launched a second-generation CBD infused beverage and has over $1 million in sales. The beverage is for sale on USMJ’s ecommerce site, www.usmj.com. While big, exchange listed cannabis companies talk about developing cannabis pharmaceuticals, KALY forges a partnership with an existing pharmaceutical company. These small cannabis companies working together in a coalition are producing results not just operationally, but share price wise as well. The prices are volatile. That means they go up and down in price with a wide range between the highs and the lows. The stocks all trade at high volumes. So, not only does the smart, nimble small business coalition approach provide an improved ability to adapt, sustain and even get to market faster than their behemoth competitors, the high-volume volatility provides shareholders the opportunity to enjoy immediate and attractive returns. Buy low, sell high, wash rinse repeat. There are other small cannabis business coalitions to look at as well. Get out there and do your research. Take a close look at the one discussed here. You will find the volatility cycle across the board at the moment is presenting an attractive entry point. The volume in all them is healthy and in USMJ, PURA, and KALY in particular, the current PPS level is on the lower end of their respective volatility cycles. When it comes to investing in the bourgeoning and ever evolving cannabis sector, think small for big returns. 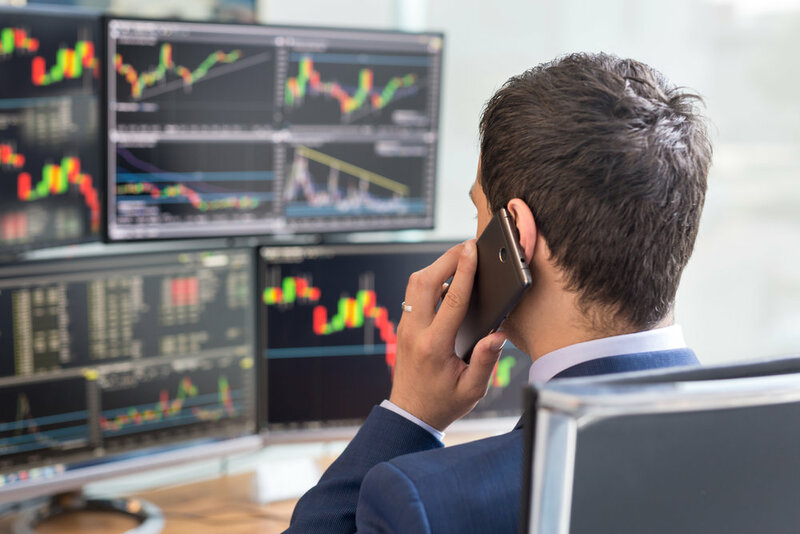 New York, NY – February 12, 2019 – Alternet Systems, Inc. (USOTC: ALYI) and Kali, Inc. (KALY) both maintain BULLISH ratings (see stockta.com) after high volume spikes and moderate PPS retraces, and both hold substantial, yet untapped PPS upside potential. These are both very unique cannabis sector plays. Both ALYI and KALY are being built on U.S. Patented Cannabis Technology. ALYI has brought David Mitlin (recently featured by Forbes) on board to build a hemp energy storage solution. Mitlin holds a patent for a hemp fiber supercapacitor. KALY has acquired a patented cannabis extraction technology. Both companies have implemented strategies to generate immediate revenue, not just future revenues based on further developments of their respective patented technologies. Both companies have invested in third party valuation analysis and both analyst reports indicate a PPS higher than their current post-spike-retrace prices. ALYI is trading in the $0.03 PPS range and KALY is trading in the $0.01 PPS range and both have the potential to rapidly return to recent highs and break through those recent highs to $0.10. With both companies having recorded recent sales, the filing of the upcoming annual reports could trigger the next run on both. New York, NY – February 4, 2019 – Alternet Systems, Inc. (USOTC: ALYI) is rated Overall BULLISH (Short, Intermediate and Long) by Stock Tech Analysis (StockTA.com). The PPS ran from sub-penny last week to a high of $0.03 on record trading volume, and today it has retraced and is holding at $0.02. ALYI has garnered attention of late from its hemp energy storage project orchestrated by David Mitlin, recently featured by Forbes. The current PPS at $0.02 could be a good accumulation point for a potential run to $0.09. Goldman Small Cap Research recently issued an updated research report on ALYI. The report includes a 'speculative-buy' rating with a target price-per-share of $0.09. The report provides an in-depth overview and analysis of Alternet's new strategy, new orders, and upcoming milestones. To view the report, along with disclosures and disclaimers, visit https://www.alternetsystemsinc.com/research-rpt/ or http://www.GoldmanResearch.com. New York, NY – January 30, 2018 – Alternet Systems, Inc. (USOTC: ALYI) is rated a BUY today by AmericanBulls.com. The ALYI PPS is moving toward a $0.01 breakthrough toward a recent analyst recommended $0.09 after the company yesterday released a management update highlighting the company’s hemp energy initiative following the 2018 Farm Act legalizing the farming of hemp in the United States. Grand View Research anticipates the industrial hemp market to grow to $10.6 billion by 2025. Forbes recently featured hemp energy storage and specifically the consultant engaged by ALYI to accelerate ALYI’s program. ALYI’s release yesterday also included an update on the company’s latest developments with $1.5 million in Revolt Electric Motorcycle orders. In October last year, Alternet initiated a project to develop hemp-based technologies for energy storage. The company engaged Clarkson University Professor David Mitlin to lead the initiative. Professor Mitlin is a leading expert in electrochemistry and a pioneer in the use of hemp as a clean, green, renewable energy in the form of a supercapacitor. Mitlin has successfully used hemp bast – the fiber left over from processing hemp – to construct carbon nanosheets that compete with, and in some respects, outperform the supercapacitor performance derived from more typical graphene nanosheets. “Our system’s recommendation today is to BUY. The BULLISH ENGULFING pattern finally received a confirmation because the prices crossed above the confirmation level which was at 0.0076, and our valid average buying price stands now at 0.0087. 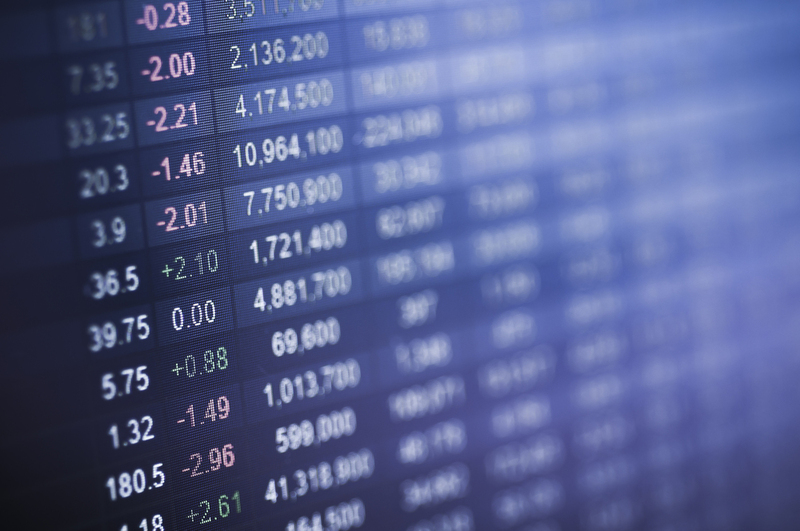 Other companies making market news and worth a watch include Helios and Matheson Analytics Inc. (HMNY), Endonovo Therapeutics, Inc. (ENDV) and Hemp, Inc. (HEMP). 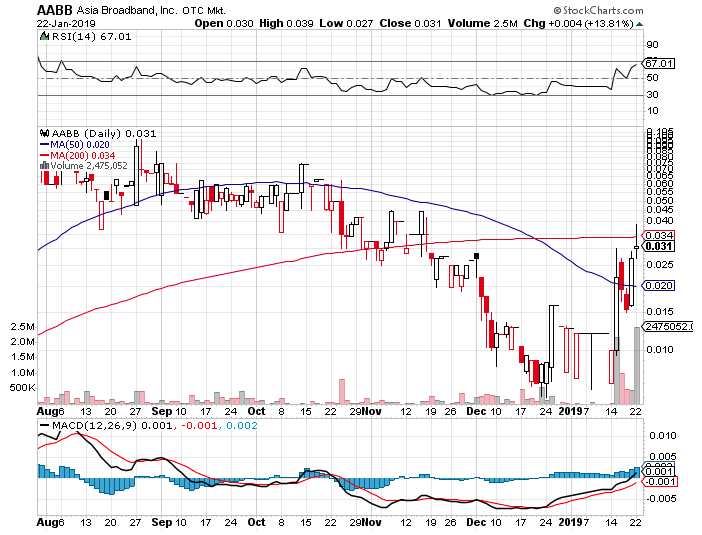 New York, NY – January 29, 2019 – Asia Broadband Inc. (USOTC: AABB) is steadily moving back up to breakthrough its $0.034 200 moving average after investors took profits on a recent 400% gain to $0.04. After reaching just over $0.04, the PPS retraced 50% back to $0.02 and is now on the move back up again. It could be a good time to get back in with the technical support that can come from breaking the approaching $0.034 200 moving average mark and the anticipated news expected to trigger a run that could take the PPS back to its $0.10 52-week high if not beyond. With a transition over the last year into mining as the company’s now current primary business focus, AABB has posted a 1000% increase in gross profit through the third quarter of 2018 reporting almost $3 million in gross profit compared to $277,000 in gross profit for the entire previous year. The company is also reporting nearly $2 million in cash on its balance sheet. While the company was still going unnoticed on October 24, 2018, it signed a $34 million joint venture agreement that included an initial $5 million payment. The financial benefit of the agreement will become apparent when the company publishes its 2018 annual report. AABB is trading between $0.02 and $0.04 on much higher than its twelve-month average trading volume. The PPS has a 52-week high of $0.10 and once the annual report is filed adding the benefit of the $34 million joint venture to the organic $3 million in gross profit and $2 million in cash from operations already reported, the PPS is likely to rocket back to its $0.10 52-week high and beyond. NextBigTicker also follows West Coast Venture Group, Inc. (WCVC), Kali-Extracts, Inc.(KALY) and Puration, Inc. (PURA). New York, NY – January 29, 2018 Kali, Inc. (USOTC: KALY) and Puration, Inc. (USOTC: PURA) have both today received BUY recommendations from AmericanBulls.com. Both companies have been turning in strong fundamental financial results in the rapidly evolving and expanding cannabis sectors. PURA has an upcoming new cannabis beverage launch in two weeks with West Coast Venture Partners (USOTC: WCVC) and North American Cannabis Holdings, Inc. (USOTC: USMJ), and KALY has a pending management update anticipated tomorrow to report the company’s latest developments to monetize its patented cannabis extraction process. “Our system’s recommendation today is to BUY. The BULLISH HARAMI CROSSpattern finally received a confirmation because the prices crossed above the confirmation level which was at 0.0115, and our valid average buying price stands now at 0.0117. KALY has yet to be fully recognized for the potential of its patented process to deliver pharmaceutical therapies. As more research becomes available on the applications of the companies cannabis extracts to treat various diseases and conditions, the PPS has the potential to rocket past its 52 week $0.04 high to $0.10. PURA has a 52-week high PPS of $0.25 and a standing analyst report recommending a speculative buy and a $0.25 PPS. PURA has a number of major events in the works with the potential to trigger an rebound to the $0.25 52-week high PPS. Learn more about the KALY at www.kali-extracts.com. Learn more about PURA at www.purationinc.com. New York, NY – January 24, 2018 Kali, Inc. (USOTC: KALY) has proven to be a new hot cannabis stock over the past two months and an upcoming trigger could rocket the current $0.01 PPS up 1000% to a $0.10 PPS. The company entered the cannabis sector recently acquiring a patented cannabis extraction technology. The technology has been licensed by Puration, Inc. (USOTC: PURA) for the production of CBT infused water sold into the sports nutrition market. Together, KALY and PURA singed a deal to make a private labeled CBD infused water for Generex Biotechnology (OTCQB: GNBT). KALY also introduced its own CBD infused candies under the brand name Hemp4mula. KALY’s greatest and yet unrecognized value is derived from the company’s medical research surrounding the extracts from the patented extraction process. The acquisition of the patented extraction process and the corresponding contract announcements saw the PPS rocket out of the sub-penny range on trading volume that put it regularly in the top 25 most actively traded stocks on the OTCMarkets. The jump in price and volume resulted in OTCMarkets flagging the stock for potential promotion concerns. However, since the OTCMarkets flag was posted, the company has updated its financial filings bringing them current with OTCMarkets reporting standards for a current information filer. The company has also launched a new website consistent with its new cannabis business plan. Its’ likely that OTCMarkets is reviewing KALY’s updated filings and reviewing the increase in PPS and volume in reaction to the new business plan and acquired assets and that the reviews will lead to a removal of the currently posted flag for potential promotion concerns. The removal of the flag could be seen as a validation of the company’s legitimate new cannabis business plan and assets and could in turn be a trigger for another PPS run. When considering KALY compared to a company such as Cannabis Science, (USOTC: CBIS) with its negligible revenue, massive losses and delinquent filings, but a $100 million market cap, it is not unreasonable to think KALY’s PPS could run to $0.10 in response to a clean bill of health, patented technology, revenue, and current filings. Learn more about the company at www.kali-extracts.com. Puration, Inc. (USOTC: PURA), the maker of EVERx CBD Sports Water announced yesterday that the company had doubled its CBD beverage production schedule after its retail distributors sold out of their December orders and submitted new orders double the size of their previous orders. Today, PURA is Rated VERY BULLISH based on technical analysis. PURA is trading at a support base of $0.08 with a 52-week high of $0.25 and a standing analyst SPECULATIVE BUY recommendation and a TARGET PPS of $0.25. PURA included in its press release yesterday a coming announcement of an upcoming event to celebrate the $1 million in sales milestone and to introduce all new EVERx CBD Sports Water packaging. The news yesterday also included an upcoming new CBD Water formulation with 25 mg of CBD. Based on technical analysis and upcoming news, PURA looks ready to run. Asia Broadband Inc. (USOTC: AABB) was a Top 25 Gainer on the OTC yesterday adding over 100% to its PPS on record trading volume. AABB’s extraordinary gross margin growth over the last year came to light and the market reacted accordingly. Last year the company reported $277,000 in gross profit on $882,000 in revenue. This year the company has already reported a 1000% increase in gross profit to $2.7 million. Today, AABB is rated BULLISH. The PPS is over $0.02 with a 52-week high of $0.10. Yesterday’s move put AABB on the radar screen and the PPS is set to retrace to its $0.10 52-week high. Asia Broadband Inc., through its wholly owned subsidiary Asia Metals Inc., is a resource company focused on the production, supply and sale of precious and base metals, primarily to Asian markets. The Company utilizes its specific geographic expertise, experience and extensive industry contacts to facilitate its innovative distribution process from the production and supply of precious and base metals in Guerrero, Mexico, to our client sales networks in Asia. This vertical integration approach to sales transactions is the unique strength of Asia Broadband and differentiates the Company to its shareholders. Hempamericana, Inc. (HMPQ) and Lithium Exploration Group, Inc. (LEXG) are also in the news and making radar screens and warrant a look. New York, NY – January 15, 2019 – The stock price per share of Asia Broadband Inc. (USOTC: AABB) is likely to explode when the company files its upcoming annual report. Last year the company reported $277,000 in gross profit on $882,000 in revenue. As of September 30, 2018, AABB has reported $2.7 million in gross profit just through the end of the third quarter. 2018 year-to-date (YTD) revenues through the third quarter have already exceeded total revenues for 2017 and the gross profit is up 1000%. AABB has quietly snuck into the mining business with a unique twist connecting mineral resources in Mexico to buyers in China. When the company files its annual report for 2018, there will be nothing quiet about this company any more. Put this one on your radar. AABB is trading at about $0.01 with a 52-week high of $0.10. A PPS retrace to the $0.10 52-week high even before the annual report would not be a surprise. With nearly $2 million in cash on the balance sheet now, a PPS much higher than the 52-week $0.10 high is well deserved. Kali, Inc. (USOTC: KALY) has recently acquired a patented cannabis extraction process changing its entire business. The company has announced $400,000 in contracts since making the acquisition. The company has also released pre-clinical research on cannabis extracts from its patented process conducted in partnership with universities. KALY is trading in the $0.02 to $0.03 range and a PPS of $0.10 would not be a surprise. KALY is rated OVERALL BULLISH. Puration, Inc. (USOTC: PURA) has licensed the KALY patented extraction process for the production of what is now the leading CBD infused sports beverage in the sports nutrition market – EVERx CBD Sports Water. The company has $1 million in sales in 2018. PURA has been recently rated a BUY. The PPS has climbed recently to $0.09 from a support base at $0.08 after pulling back from a 52-week high of $0.25 and now showing signs of rebounding to its $0.25 52-week high. North American Cannabis Holdings, Inc.(USOTC: USMJ) has recently broken out on high volume. The PPS has made a dramatic move above $0.001. The 52-week high is $0.0025. The company has recently announced a $10 million revenue goal for 2019 based on its new ecommerce business. The company has also announced a pending dividend. With a positive cannabis market and progress toward the $10 million revenue goal, the USMJ PPS has the potential to break above $0.01. Hemp, Inc. (USOTC: HEMP), by its name alone, has garnered a great deal of attention in the wake of the 2018 Farm Act legalizing hemp farming. HEMP trading volumes are up and the PPS is basing around $0.03 and preparing for likely run. New York, NY – December 28, 2018 – North American Cannabis Holdings, Inc. (USOTC:USMJ), Puration, Inc. (USOTC: PURA), Kali, Inc. (USOTC: KALY) and Medical Marijuana, Inc. (USOTC: MJNA) have all been rated BULLISH by Stock Technical Analysis (Stockta.com). The cannabis sector, particularly companies with a strong hemp related presence, have seen increased investment interest since President Trump signed the Farm Act into law legalizing hemp farming. PURA, In fact, has been rated VERY BULLISH having established a substantial support base at $0.08 after pulling back from a 52-week high of $0.25 and now showing signs of rebounding to its $0.25 52-week high. USMJ has recently broken out on high volume. The PPS has made a dramatic move above $0.001. The 52-week high is $0.0025. The company has recently announced a $10 million revenue goal for 2019 based on its new ecommerce business. The company has also announced a pending dividend. With a positive cannabis market and progress toward the $10 million revenue goal, the USMJ PPS has the potential to break above $0.01. KALY has recently acquired a patented cannabis extraction process changing its entire business. The company has announced $400,000 in contracts since making the acquisition. The company has also released pre-clinical research on cannabis extracts from its patented process conducted in partnership with universities. KALY is trading in the $0.02 to $0.03 range and a PPS of $0.10 would not be a surprise. MJNA is also rated VERY BULLISH with a PPS currently trading at $0.08 with a 52 week high of $0.18. With the positive cannabis sector environment resulting from the recent passage of the Farm Act combined with MJNA’s steady business plan, MJNA seems set for a rebound to it $0.18 52-week high. New York, NY – December 26, 2018 – Alternet Systems, Inc. (USOTC: ALYI) is rated a BUY today by AmericanBulls.com. ALYI’s hemp energy strategy is getting a major boost from the recent signing of the Farm Act by President Trump legalizing hemp farming. In October of this year, Alternet initiated a project to explore and develop hemp-based technologies for energy storage. The company engaged Clarkson University Professor David Mitlin to lead the initiative. Professor Mitlin is a leading expert in electrochemistry and a pioneer in the use of hemp as a clean, green, renewable energy in the form of a supercapacitor. Mitlin has successfully used hemp bast – the fiber left over from processing hemp – to construct carbon nanosheets that compete with, and in some respects, outperform the supercapacitor performance derived from more typical graphene nanosheets. “Our system’s recommendation today is to BUY. The BULLISH HOMING PIGEON pattern finally received a confirmation because the prices crossed above the confirmation level which was at 0.0080, and our valid average buying price stands now at 0.0081. Goldman Small Cap Research recently issued an updated research report on ALYI. The report includes a 'speculative-buy' rating with a target price-per-share of $0.09. The report provides an in-depth overview and analysis of Alternet's new strategy, new orders, and upcoming milestones. To view the report, along with disclosures and disclaimers, visit https://www.alternetsystemsinc.com/research-rpt/ or http://www.GoldmanResearch.com. Management indicates that the company will engage Goldman to issue another update in the event the company reaches its first million in revenue by year end, 2018. Other cannabis stocks making news today include Rocky Mountain High Brands (RMHB) with its legal battle, Dewmar International BMC (DEWM) with its new cannabis website and Medical Marijuana (MJNA) with its entry into Mexico. New York, NY - Dec 24, 2019 - Kali, Inc. (dba/Kali-Extracts) (USOTC: KALY) and Generex Biotechnology Corp (OTCQB: GNBT) through a deal announced between GNBT and US Cannabis Health, a Joint Venture partnership between KALY and Puration, Inc. (USOTC: PURA) and Nouveau Life Pharmaceuticals (USOTC: NOUV) could potentially soon introduce a cannabis drug that not only rivals GW Pharmaceuticals’ (NASDAQ: GWPH) Epidiolex, KALY and GNBT’s cannabis drug development could reveal that GWPH’s Epidiolex infringes on GNBT patents. Despite some nattering negativism by skeptics, GW Pharmaceuticals' (NASDAQ: GWPH) Epidiolex, the first plant-based cannabinoid drug approved in the U.S., becomes a smashing commercial success. Even pessimistic analysts project that Epidiolex likely will become a blockbuster within a few years. Keep an eye on KALY and GNBT. Both are showing characteristics of entry level prices you might regret missing. Learn more about Kali, Inc. at www.kali-extracts.com. Learn more about Generex at www.generex.com. New York, NY – December 21, 2018 - Puration, Inc. (USOTC: PURA) has a BUY recommendation from AmericanBulls.com following President Trump signing the Farm Bill into law and legalizing hemp farming. The company also announced yesterday exceeding its $1 million sales goal for 2018 and setting a $5 million sales goal for 2019. The company is thriving and growing and showing now reason not to be trading at the $0.25 PPS high reached a few weeks ago and supported by a sustained Goldman Small Cap Research PPS Target Recommendation. Bulls make money on increasing share prices and bears make money selling short and buying shares to fill short sales executed at a higher price. REGSHO data (see below) shows that PURA has been consistently sold short for weeks now. Yesterday and this morning the PURA PPS rallied only to have cold water poured on the rally by Citadel Securities (CDEL) boxing the bid and offer and scuttling the rally. CDEL has dominated the box for weeks while the PPS has gone sideways with likely short sellers picking up the shares of legitimate and frustrated shareholders. Farm Act news and positive sales results from PURA sparked the rally that threatened short position holders. The rally and subsequent effort to scuttle the rally also exposed the short position. The short position can’t likely hold on much longer. PURA looks to have even more good news coming to include a pending dividend. The rally showed the shorts control is weakening. A $0.25 PPS rebound looks to be on the horizon. “Our system’s recommendation today is to BUY. The BULLISH HARAMI pattern finally received a confirmation because the prices crossed above the confirmation level which was at 0.0872, and our valid average buying price stands now at 0.0880. New York, NY – December 21, 2018 Kali, Inc. (USOTC: KALY) executed a reverse merger last month acquiring a patented cannabis extraction asset. As the company cleans up its filings and updates its website, it is becoming clear that there is a lot here under the hood. Not only does the company have a patented cannabis extraction process, it has a substantial amount of research behind cannabis extracts derived from the patented extraction process. The company just release news this week (see below) on research conducted with Beach Tree Labs and Brown University for a cannabis extract therapy for respiratory diseases. This research was intended as an example of more research yet to be disclosed. The news indicated further research study information would be forthcoming. The company has already attracted the attention of Generex Biotechnology (OTCQB: GNBT) that has FDA trials underway with the likes of Merck (NYSE: MRK). If KALY’s partnership with GNBT advances to trial stage or if GNBT signs a second pharmaceutical company, KALY can arguably justify a $100 million valuation and $0.10 PPS. Even now, with preclinical research results for a respiratory condition with an $11 billion therapy market, where a 1 percent penetration of that market would be over $1 billion dollars, KALY can justify a higher valuation today than the current PPS. Comparing KALY to other OTC quoted biotechs; taking into account the OTC transparency concerns, but also considering the $400,000 in revenue contracts (see below) KALY has recently announced, a $0.05 PPS today does not seem out of the question. Kali-Extracts Inc. Announces $300,000 Contract to Produce Hemp-Derived CBD Extract for Puration Inc. The KALY PPS has gone in the last month from $0.003 to over $0.03. As with any such meteoric, the trading has attracted its fair share of short sellers. In fact, KALY has been reported all week as one of the top 11 most shorted stocks on the OTC. Yesterday, the PPS dropped below $0.02 as a result of a short raid, but not on a lot of volume. The PPS popped at the open today almost going back to $0.03. There is definitely a short squeeze here and if all that KALY has under the hood gets a little more market attention, the short cover will contribute to pushing the KALY PPS to the $0.05 it arguably deserves today and maybe even higher. KALY is partners with Puration, Inc. (USOTC: PURA) and Nouveau Life Pharmaceuticals, Inc. (USOTC: NOUV) in a joint venture named US Cannabis Health for the purpose of together developing partnerships with pharmaceutical companies to develop cannabis pharmaceuticals. US Cannabis Health recently announced its first agreement with Generex Biotechnology, Corp. (OTCQB: GNBT).